Princess Kushana's staff officer. In the manga, he was sent by Kushana's father, the Vai Emperor, to spy on her and to steal the God Warrior's control stone. Once Kushana uncovered this plot, Kurotowa immediately offered to switch allegiances and work for her in earnest. At first, he was mainly concerned with staying alive; however, he soon developed genuine admiration and loyalty toward her. Kurotowa is shrewd, clever, and pragmatic. 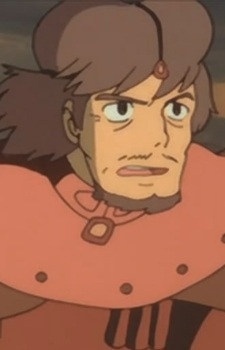 Unlike most of Kushana's officers, he is a commoner who worked his way up through the ranks, making him somewhat popular among the mechanics and crewmembers who can relate to him more easily.